Back in 2011, when I was new to my freelance geographer career, I was looking for various opportunities for projects where I could create some resources, and chased a few options. 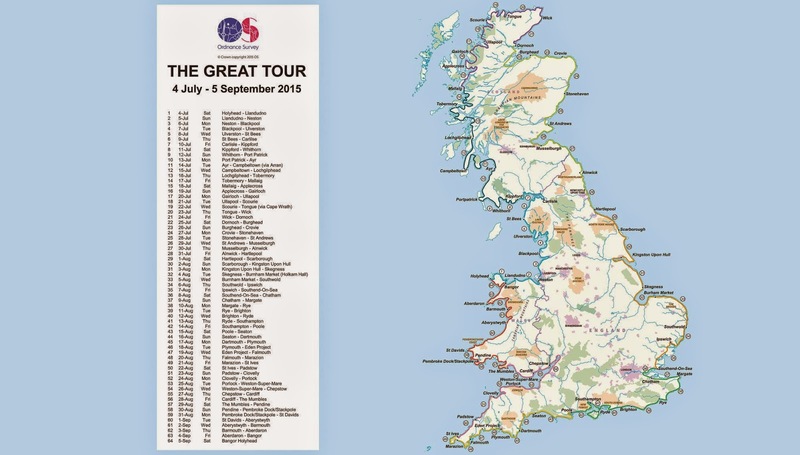 One of the things that I did was have a meeting with Hugh Roberts, who had put together a cycling event called 'The Great Tour' which was a circumnavigation of the UK. It's a tour around the coast again, and riders can join by paying a fee which covers meals and accommodation and raises money for a number of charities.